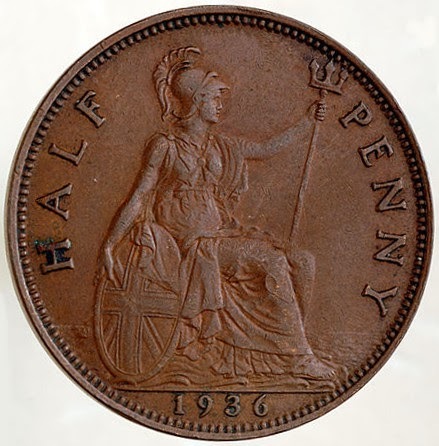 Just in case you've ever wondered who she is, the trident-wielding woman that often features on British coins and patriotic posters is Britannia, the female personification of Britain. Such personifications aren't unusual - France has Marianne, the USA has Columbia and New Zealand has Zealandia (said to be the daughter of Britannia). Britannia, however, is truly ancient, being the Roman name for Great Britain. As a symbol of the island, she developed in the second century, shown as a Roman goddess bearing a trident and shield and wearing a Corinthian helmet. She survived as an emblem long after the Roman withdrawal, and the imagery evolved and became particularly associated with the British Empire. 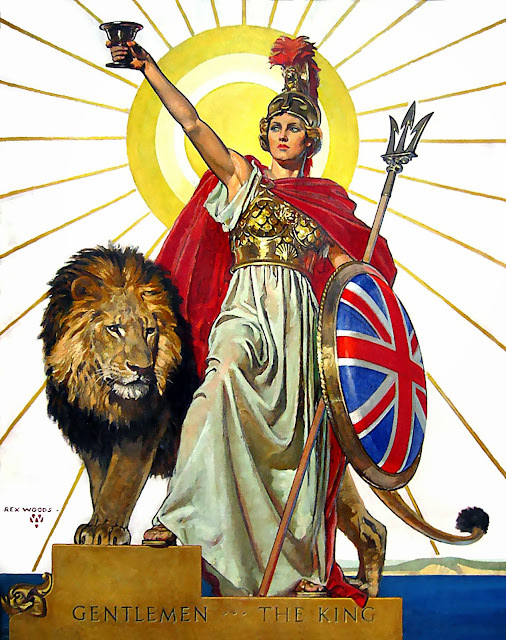 Typically, she is shown during times that call for national solidarity or patriotism, and bears a trident representing Britain's historic naval power, a shield showing the Union Flag and a lion, one of Britain's prominent national symbols, at her feet. If you didn't know who she was, however, you're in good company: a Royal Mint survey in 2013 found that 1 in 4 adults in Britain couldn't identify Britannia, variously mistaking her for Boadicea, Athena, Queen Victoria, Joan of Arc and even Margaret Thatcher. Rule Britannia, indeed. Well did you know who she is? Do please leave your most personified comments below. The figure emblematic of Britain, a woman with a shield, helmet, trident and a massive, in-your-face, we'd hide it if we could, this might be dragging the emblem down a bit, armpit. I think it's a rather nice armpit. She has got muscly arms. I think if we met I'd fancy her a bit. I can't say I would have mistaken Queen Victoria for Britannia, but I also cannot say I could have correctly identified Britannia. As for her armpit, well, it's at least semi-feminine? If you cover her face, that looks like a man's arm. But never matter - I still rather fancy her. I can't believe how clearly Roman she looks. I didn't realise how much Britain looks back to its Roman origins. Doesn't "England" come from Angle land, a germanic tribe? Well I suppose that answers it. They'd rather be Italian than Bosh. Yes, it does - 'land of the Angles' which, interestingly, is related to the modern word 'angle', as apparently the land they inhabited was shaped like a fish-hook.